Gwozdecky is a private pilot and graduate of the University of Toronto’s Mechanical Engineering program. She joined the University of Toronto Aerospace Team (UTAT) where she lead as Director of Space Systems to pass a student levy, raising nearly half a million dollars to fund the launch of the first amateur satellite from U of T, HERON MKII, in 2019. This levy is the first of its kind in Canada enabling high-volume fundraising for student teams. 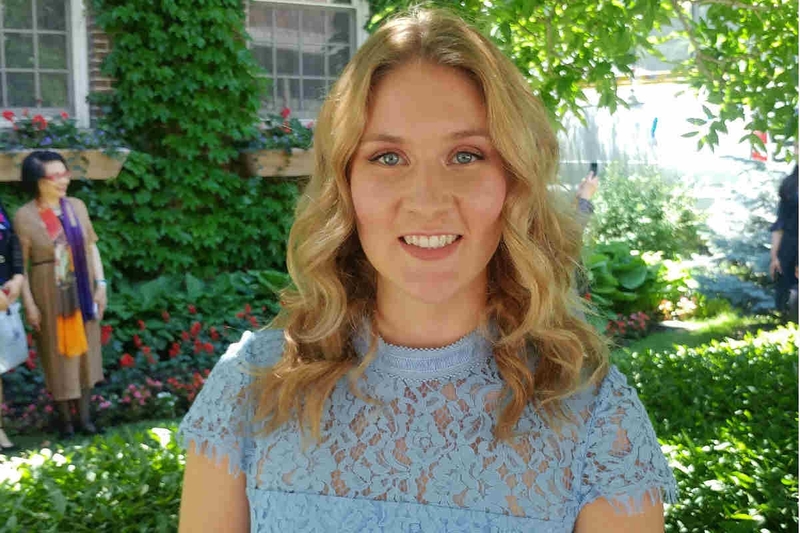 Gwozdecky’s passion for space engineering has led her to pursue a MASc at the Space Flight Lab at the University of Toronto beginning this September. A favourite story on my journey, by Katie Gwozdecky: My cross-country flight for my PPL was quite an experience. I did my flight after I had already completed my PPL flight test, so I wasn’t worried about my skills, but flying alone to two different airports is very different than doing steep turns and special landings with an instructor. I flew the trip with my primary instructor a few days prior so I was familiar with the route (CYRO -> CYGK -> CXBR -> CYRO). When I arrived, I had to brief with a different instructor (on any other flight, no problem, but on my qualifying cross country, I was getting nervous). So, I get the plane ready, open my flight plan and I’m off to Kingston. At each airport I had to turn off the plane and get stamped by the dispatch, which in Kingston, was easy. From there, I had a pretty strong headwind so I had to gun it as fast as I could. I climbed back in and doing my best to get back to Ottawa airspace. At 6,000 feet and cruise heading into Ottawa Terminal airspace, I’m on the radio giving my intentions when my window latch comes undone on the passenger side and it flings open. Now, not only am I trying to communicate with Terminal, but I am trying to reach over and close the window. I did it once, but then it opened two more times on my approach to CYRO, so I decided to prop it open with an old map. And naturally, the map goes flying! As I descended, the window managed to stay closed, but I’m nervous it’s going to pop open the moment I turn final for runway 27 at CYRO. Thankfully, it doesn’t and I make it down. Not only did I survive my trip but I was greeted by my brother and mom with a bottle of champagne. What an incredible way to complete my PPL training. I am so appreciative of everyone at Rockcliffe for their support, humour and optimism throughout my licensing. I was able to train there twice a day, every day, over the course of a couple months in 2016. In that time, not only did I gain a greater appreciation for the family I found there, but also for my own – especially for my Mom, who motivated and financed me. I also discovered how adventurous and brave pilots must be to fly.